*See CCROP User Manual for detail on input parameters needed, processes and functions simulated, and output generated. What is a plant growth model? A plant growth model is a computer program which uses mathematical equations to describe how plants grow. Fortunately, models which simulate crop growth and development have been successfully developed for many of the world’s important crops. However, very little effort has been made to model ornamental crop production in containers – until now. The plant growth model we have developed for simulating production of ornamental plants in small containers is called CCROP which is an acronym for Container Crop Resource Optimization Program. Million, J.B., Ritchie, J.T., Yeager, T.H., Larsen, CA, Warner, CD, and J.P. Albano. 2011. CCROP – Simulation model for container-grown nursery plant production. Scientia Horticulturae 130(4):874-886. How does CCROP approach simulating plant growth? The foundation of CCROP is the simulation of leaf area growth and development. The rate of leaf area development, i.e. leaf appearance, is controlled primarily by temperature. The leaf canopy controls the amount of light intercepted for photosynthesis thereby controlling the amount of energy available for additional leaf area growth and biomass accumulation. Leaf area also influences evapotranspiration (ET) rates with soil evaporation rates decreasing and plant transpiration rates increasing as the leaf canopy approaches capturing 100% of incoming solar radiation. Through its affect on ET, photosynthesis, and plant growth, simulation of leaf area growth therefore provides a means for determining plant water and nutrient demands. If daily water and nutrient demands of the plant exceed daily water and nutrient supplies in the substrate, plant growth is reduced through negative feedback. What assumptions are made for CCROP? All plants are the same. We know that this is not true but simulations are based upon an average, idealized plant. Except for water-holding properties, substrates are assumed to behave identically with regards to chemical and physical properties. There are no pest or disease problems affecting growth. Controlled-release fertilizers (CRF) are assumed to have similar release patterns. In other words, differences in N release from CRFs under a given set of growing conditions are due to differences in the longevity rating of the CRFs. Transplants are uniform and of good quality. Plants are assumed to have been watered thoroughly at planting so that the substrate is at container capacity at the start. Substrate is fertilized at planting. 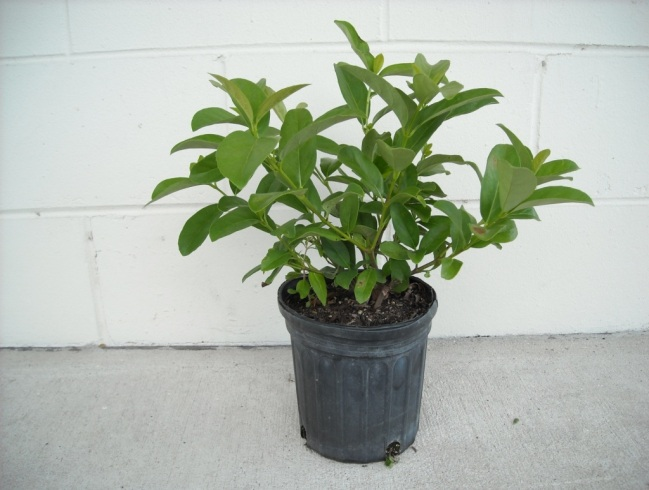 Plants are grown on industry-standard, black, woven, polypropylene groundcloth. Container spacing is uniform throughout the production period. What language is CCROP written in? Can I view the code? CCROP was developed and written in FORTRAN computer language. Please contact Jeff Million or Tom Yeager for obtaining access to the FORTRAN code. What are Container Crop Management Tools? Container Crop Tools provide a user-friendly means for changing plant, weather and management input files, running CCROP, and viewing the output (see figure below). (2) COMPARISON TOOLS: This set of tools allows the user to run 'what-if' experiments to evaluate several levels of a given production practice. Simulations are run to compare two or more levels of a given factor or practice. For example, the user can evaluate the effect of four different fertilizer rates or the effect of three different irrigation schedules. For these comparisons, all other production practices selected by the user are held constant. The output includes comparison summary plots and tables (no daily time-plots). (3) TECHNICAL TOOL: This tool allows the user to change any input parameter in the CCROP model. (4) REAL-TIME IRRIGATION TOOL: This irrigation scheduling tool provides the user with a daily recommended amount of irrigation water to apply based upon simulated day-to-day progress of a crop. Does it work with all plant species? 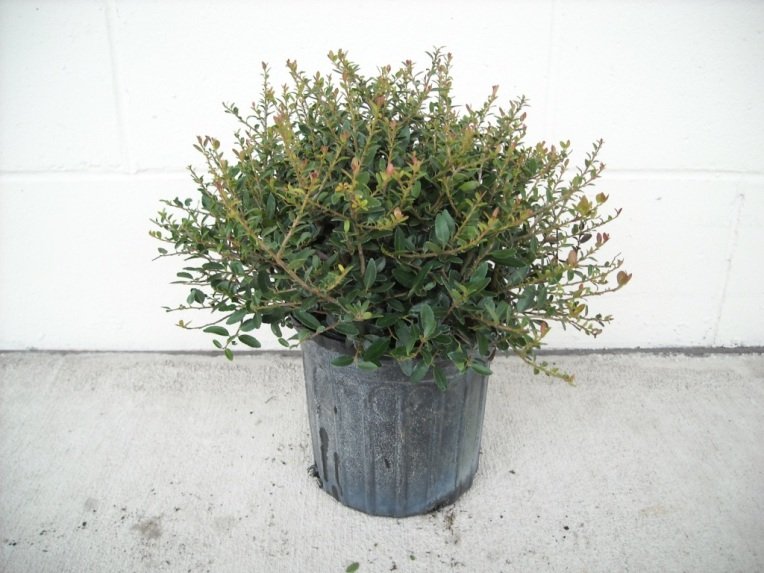 (2) Ilex vomitoria (dwarf yaupon holly) is a slow-growing woody ornamental with small leaves and a broad-spreading growth habit. Does CCROP work with all container sizes? CCROP simulates production in trade #1 or trade #3 containers watered with overhead, sprinkler irrigation. What are the default inputs? Default values are included for all management inputs. These values are not necessarily recommended but are provided as a means for running the program with minimal input changes. The user can change one or more of the default settings and run the simulation. While all input management variables in CCROP are accessible in the TECHNICAL TOOL, many management input variables are not accessible or are offered with limited options in the GROWER TOOL, COMPARISON TOOLS, and REAL-TIME IRRIGATION SCHEDULING TOOL. Maximum number of container moves is limited to one for trade #1 containers and two for trade #3 containers. Liner transplant has a leaf area of 150 cm2, height of 14 cm, width 12 cm, N concentration of 0.8% in shoots and 0.6% in roots. Substrate available water-holding capacity is assumed to be 25% by volume (50% drained upper limit and 25% lower limit). This is equivalent to 600 cm3 per trade #1 container (1.2 inches) or 2500 cm3 (4.1 inch) per trade #3. When model-recommended irrigation rate is selected, the managed allowable deficit (MAD) is 10% (percent of available water that is lost before irrigation is triggered). Nitrogen and phosphorus concentration of irrigation water is 0 mg/L (ppm). No supplemental fertilizer applications can be made. Note: Use the TECHNICAL TOOL to have full control of all input variables. What is the difference between output on a container-basis versus an area-basis? CCROP simulates plant growth as well as water and nutrient dynamics during production. This means there are a lot of output variables to consider! Units must also be considered. In this regard, CCROP outputs are expressed on either a container basis (often useful for resource efficiency evaluations) or an area basis (often useful for environmental evaluations). Conclusions drawn may be different using the two types of output because container density (number of containers per area) can change if containers are moved during the season. The TECHNICAL TOOL uses metric units for all input and output variables while a combination of English and metric units are used in GROWER TOOL, COMPARISON TOOLS, and REAL-TIME IRRIGATION SCHEDULING TOOL.